As a Factory Certified Master Technician, Lisa has been to Pfaff, Viking and Babylock Technical Training. She takes great pride in her ability to very quickly and professionally handle all your sewing machine and serger service needs. That's right. 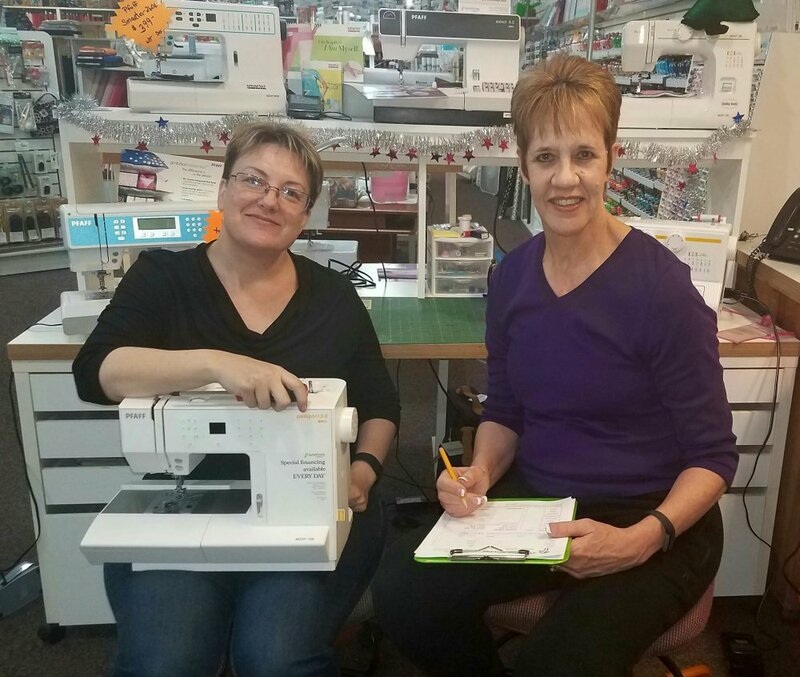 Jinny Hoffman, owner of Paradise Sewing, began her career as a sewing machine and serger service technician. Though she has sewn since her 6'1" of height made it impossible to buy off-the-rack clothes, she didn't work in the industry until starting at the now-closed Baker Sewing in Escondido. Thrown into the deep end as a service technician on the first day, Jinny learned under the expert tutelage of Jim Baker. She serviced all makes and models of sewing machines and sergers. Since owning Paradise Sewing, many machines have been brought to the Paradise Machine Hospital Triage Unit. Jinny has very quickly fixed the problem, often at no charge. "We just want you to be happy," says Jinny of her largesse with fixing customer machines. Recently, knowing that some ladies would be bringing machines which had not been used in quite some time, Jinny extended already very long days with sitting into the Beginning Quilting class, ready to fix jams, tensions, bird's nests, broken needles, threading, or oil a machine at a moment's notice. With over 30 years combined expertise in sewing machine and serger service and repair of all makes and models, Paradise Sewing is your one stop solution to all your sewing machine needs. Bring your machine in for a FREE estimate!